“You’ve gone the wrong way,” “I know a short cut,” “If you take the toll road it’ll be quicker.” How many times in your life have you heard these frustrating catch-cries echo forth from some monkey wrangling the back of your driver’s seat whilst pointing brazenly across your field of vision? Too many, most likely. The hallmarks of the dreaded back-seat driver can send even the most patient motorists insane and escalate a situation quicker than you can yell “I’M NOT A TAXI DRIVER!” But, instead of taking it to the next level, why not solve the problem before it can even arise? It’s simple. Just trade in your ride, withdraw your spare million dollars and pick up a vehicle with a cabin so luxurious that your mouthy passenger will be far too comfortable to notice that you’re not following their incessant demands. How far will $32, 000 get you in your pursuit for driving peace and quiet? You could get a whole other car for that amount of money, yes, but how about a couple of carefully placed gadgets instead? The unbelievably lux Mulsanne is roomy enough to provide your passenger with ample legroom, but you’ll also have the right kind of bells and whistles to keep them distracted with the optional infotainment pack. 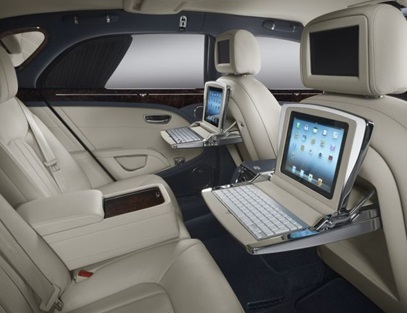 It includes a set of iPads, two keyboards, two in-headset screens and a 12-inch drop down monitor, for, you guessed it, a cool 32k. But that’s nothing compared to the ride’s $600, 000+ price tag. Anything to keep that yappy chap in the back inaudible, right? An entire galaxy now comes optional with the Rolls Royce Phantom. That will keep a back seat bandit busy for a while and let you get on with driving the way you like to. They’ll be counting to 800 for your regular old Phantom passengers and to 1, 600 if you’re cruising in a Phantom Coupe. These carefully positioned fiber-optic lights are hand placed into the cabin’s roof leather lining to create an illusion of a night sky and can be adjusted to compliment your mood or switched off all together. It’ll have them out of this world. 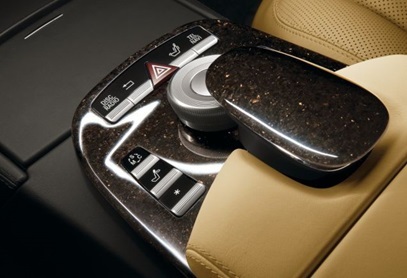 Perhaps the soundest defense against back seat drivers would be the rustling of the wind passing through the cabin as you floor $1.47 million worth of Maybach down the freeway at 120km/h. “What’s that? I can’t quite hear you!” you could shout whilst your traveller screams directions at you from the coach of this opulent monster. 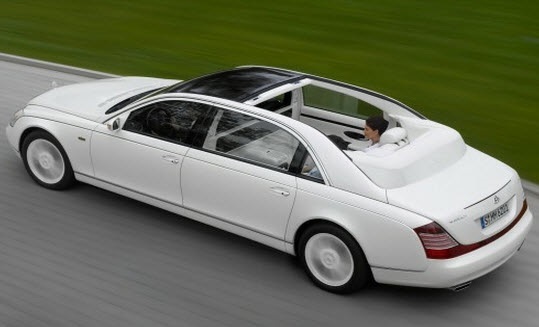 With all the features of a conventional limousine but with the added joy of a convertible, the Maybach Landaulet is a truly stunning ride that will silence both passengers and passersby. So you’re getting serious about your back seat driver problem, and all of our other suggestions haven’t worked for you. Well Lexani motors can help by transforming your van into a moving master suite. All you’ll need is $450, 000+ and the right combination of scatter cushions, then our friends from California, USA will do the rest. 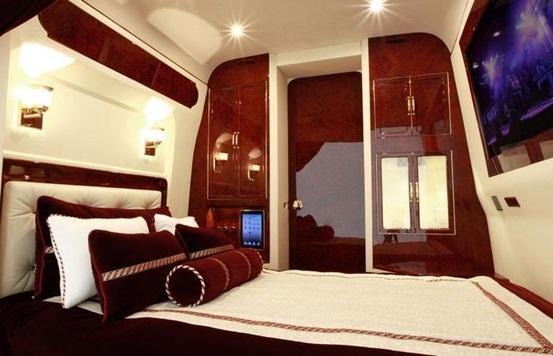 The boutique company specialises in ‘executive vehicle conversions’ with amenities that rival private yachts and planes. If this doesn’t work it might be time to catch the train.